Should We Be Set Apart? Answer: Yes. There is something that God has been working on in my life and I hope it will help you also. He has brought this to mind over the last couple of months at two different places; one at the ocean and the other while visiting the bay. 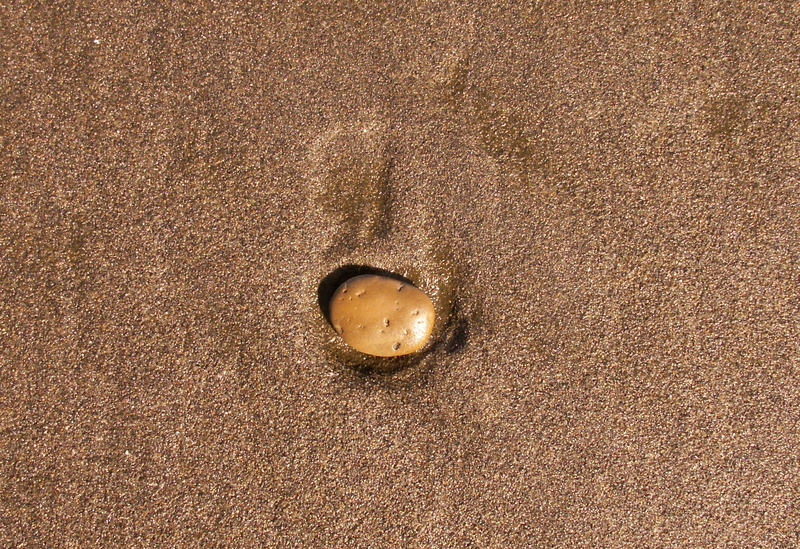 I am walking on the beach and I see one stone all by itself with nothing else around it. And than the second time, I see a kind of red (I like red) rock sitting in the middle of all these other rocks. On both occasions, I felt like God was telling me that I am to be set apart. Different. Well, because of my beliefs since I was a young girl, I have always been a bit different then others in what I chose to do or not do, believe or not believe, or the behavior I chose to take part in or not take part in. But this time, I felt that God was telling me something totally different. In both of these pictures which I am sharing from those times on the beach, you will notice that He used stones to get my attention. 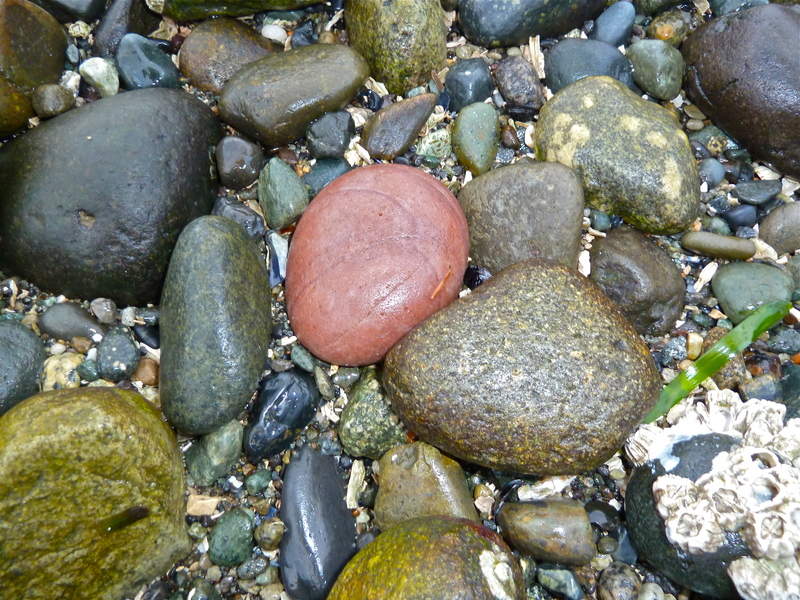 Red in color to get me specifically to notice, and then a stone set apart and alone to make me wonder. So what was this about? What did He want to teach me? I do a Praise and Coffee Night every other Wednesday night and this last week as I was praying about what to share during the chat time, God seemed to lead me back to these pictures and the scripture came to my mind about Christ being the Cornerstone and being “living stones”. Go figure! So I took out my Bible, my commentaries and got on my Logos program and had some fun learning about being living stones. One of the things that I read was, Living Stones = A Holy People. God is building a temple for eternity and He plans for each stone and where it ought to be. If that stone is out-of-place, it may cause others to stumble. We think of Christ as the Cornerstone. Every house is built by someone. So if I want to not be a stumbling block, I have to practice being a living stone. To do that I must edifying others. We must be set apart, different because of what Jesus means to us. We need to be examples. It means we might be studying the Bible on a daily basis so that we can be prepared to share with others what it means to have that personal relationship with Him and know scriptures well enough to lead them. We have to set ourselves apart daily to do that. It might mean going to church on a regular basis where others go when its a special occasion. Or going to a Bible Study or small group when others are sitting at home watching their favorite TV show. But just like those stones, we need to be set apart for His work. There are times we are asked to do something that someone else is not asked to do. There are other times when we may be asked to do or face something alone or being without friends for a length of time due to a season God has us in. But this much I know, that when I am set apart, He is always there with me. If I trust Him, He will lead me, guide me, provide for me, and grow me up in a deeper intimacy with Him. Building each other up. Just like the rocks in the wall’s foundation, you support each other. Practice love in all you do and say. Don’t try to be one up on someone and act proud because of what we know. We need to be careful of our speech and season it with salt as Col. 4:6 talks about. We also edify others by praying. When we do, the Spirit can build up their faith and cause them to mature in their relationships with Jesus. And lastly, use the Word of God so that you can be spiritually wise. There is an inheritance for those who take the time to spiritually be in the Word everyday. Next postWhat Will Make You Quit?